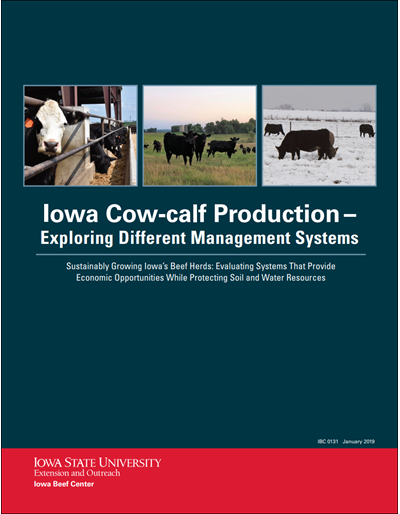 This publication is the culmination of an Iowa Beef Center project that was designed to identify costs, environmental impacts and best practices for Iowa cow-calf operations. The project looked into three types of production systems - traditional grazing, extensive grazing and limited or no grazing - with the goal of developing decision aids and educational tools to assist cow-calf producers across all production systems and improve sustainability of the cow-calf segment in Iowa. Find out about better management of runoff from small open feedlots using low-pressure flood irrigation. Photos and text show system design, components, and operation. Also contains several other resources for more information. Find out about clean water diversion around small open feedlots through pen location, gutters and downspouts for roof areas, and drainage channels for surface water. Photos, text, and tables present details of various systems. Find ways to better manage dairy feedlot manure and runoff and assess environmental impact. 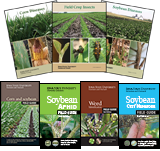 Includes practices that help you manage manure nutrients while protecting water quality. Explains how state and federal regulations apply to open feedlots and gives sources for technical assistance. Find ways to better manage feedlot manure and runoff and assess environmental impact. Includes practices that manage manure nutrients while protecting water quality. 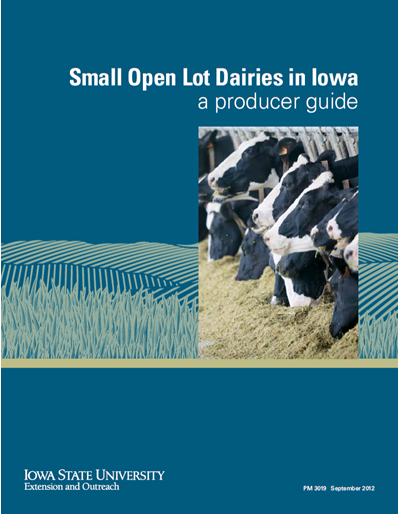 Explains how state and federal regulations apply to open feedlots and gives sources for technical assistance.